Colors Novice Novice tutorials require no prior knowledge of any specific web programming language. 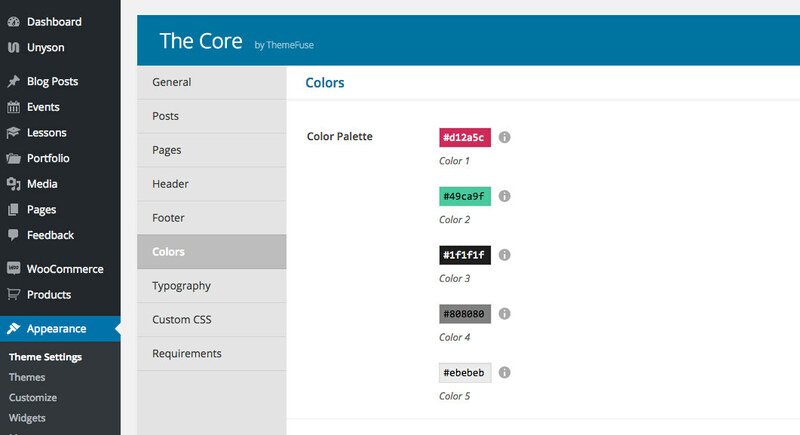 The Color Palette - composed of 5 different colors, it lets you globally control the colors on your website. A detailed explanation about the color palette containing examples and images can be found in this article. Links Color - refers to text links from body text and lets you set the normal and hover colors. This is a general default setting. 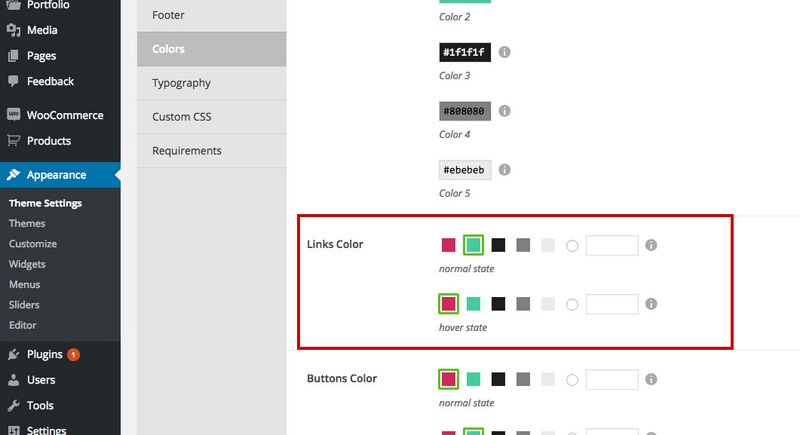 These colors will be used across your website if you don't change them specifically from a shortcode, page content editor or custom css. 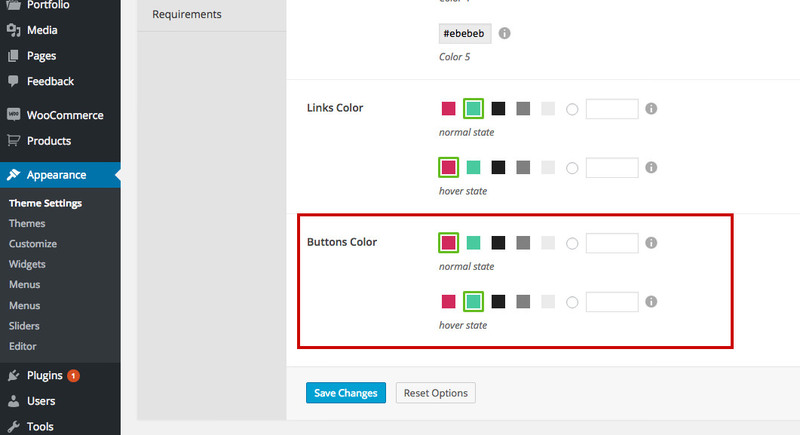 Buttons Color - lets you control the default button background colors. This is a general default setting. 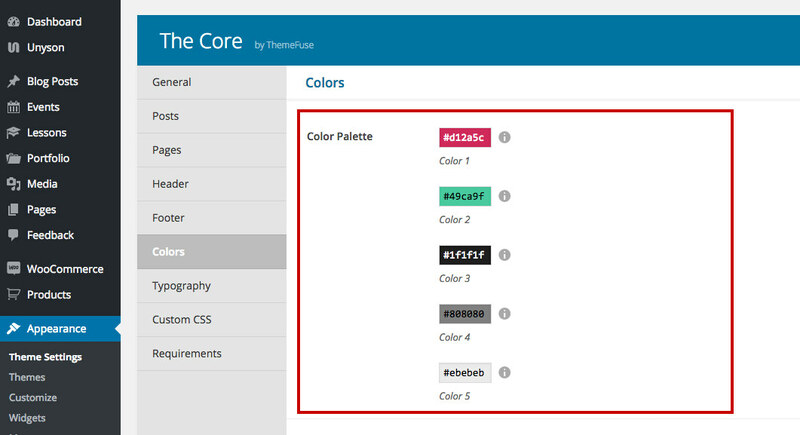 These colors will be used for all the buttons if you don't change them specifically from a shortcode (in the visual builder) or custom css.